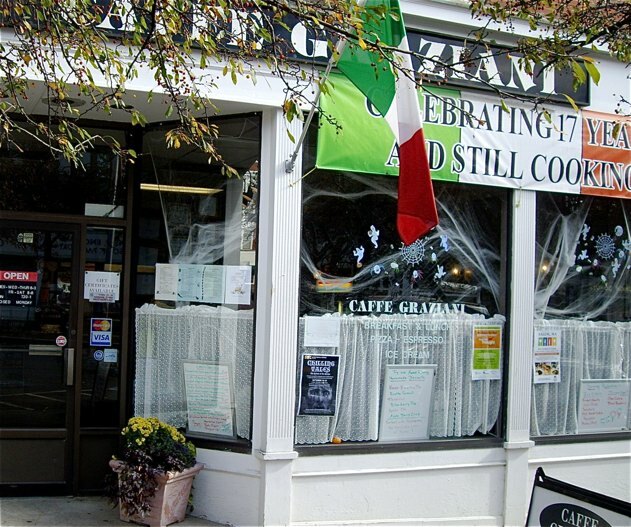 In the middle of the historic centre of Salem MA, Caffe Graziani is tempting with Italian specialties. Language spoken inside is Italian, and it has a kind of a Italian atmosphere. Food, however, did not tickle my taste buds. 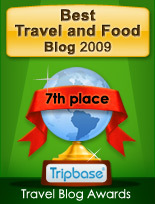 The two courses did not match the food I have eaten in the home country. 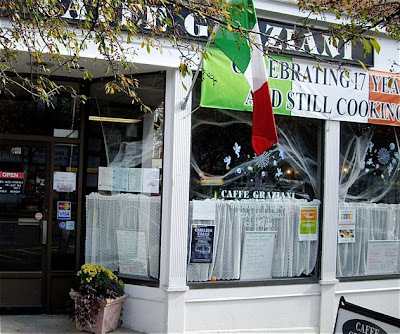 Caffe Graziani is located in Washington Street, in the heart of historic Salem in Massachusetts, a nice neighbourhood close to Salem Railway station serving commuters travelling from Newburyport to Boston’s North Station. A visit to Salem is recommended for those of you visiting the Boston area. The interior has a certain charm to it, reminding you of similar interiors in Southern Europe. No fancy colour schemes or trendy details - small wooden tables in a more neutral interior livened up by pieces of nick-nack decorations. 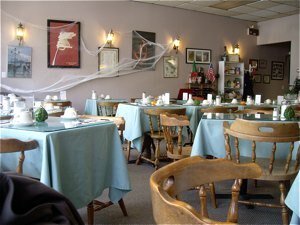 Good room between the tables and comfortably seating. Caffe Graziani is a family run restaurant as the waitress was the wife, and her husband was in charge of the kitchen. Cook Giovanni Graziani is a native of Piglio, Italy, a small village located 30 miles south of Rome, and the conversation between them were conducted in Italian - very charming. The waitress was politely interested in you, well trained in small talk as she took orders and as she was serving, and I did certainly not have to wait long to get served. 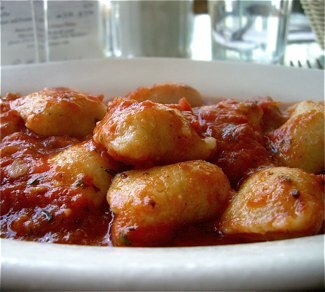 I chose to order the soup of the day and gnocchi, potato and flour dumplings served with tomato sauce. I am sorry to say that I did not appreciate the home cooking at Caffe Graziani. First the soup. 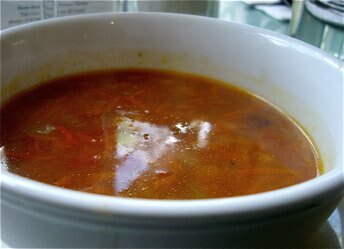 Soup of the day was a tomato based, minestrone-style vegetable soup. You could decide whether to have a cup (small) or a bowl. I decided to order the latter. It was served in large bowl, and it looked promising, by the look of it. The soup was chunky, and vegetables was not over cooked having a nice bite. My biggest problem with the soup was the fact that it had far too much salt. This increases the bitterness in the tomatoes, and to balance the salt, you will need more sugar. The soup of the day was not good, and I ended up with too much heartburn due to the acidity of the food. The gnocchi looked good as well - a large number of rustic dumplings immersed in a thick clearly home made tomato sauce. 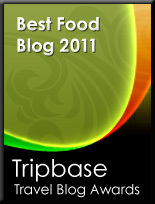 Sadly I ended up disappointed again, due to consistency and lack of balanced seasoning. I found the gnocchi tough and sticky and hard to eat . Once again the tomato sauce was bitter, rather than sweet and well balanced. If I had known, I would have ordered mineral water, rather than red wine to my lunch.